When you print a barcode label for your business, it’s important to have it print clearly and last in any environment it will face. Whether you need a test tube label for a medical laboratory in New York City or a shipping label for a distributor in Trenton, finding the right mix of products to print the barcodes that work in your situation can be a difficult process. Tri-State Business Systems can help you sort through all the options so you don’t waste time and money trying to print a barcode with the wrong supplies. Our staff uses their 20 years of experience to quickly but thoroughly analyze your businesses needs and then lets you test our solutions to find the one that works for you. 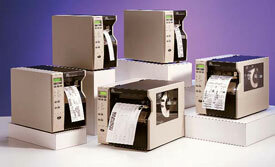 Even if you already know the products you need to make your barcodes, we can help simplify the purchases process. We keep a wide variety of these products on hand in our 50,000 square-foot warehouse so that we can rapidly fill our customers’ orders. In most cases, we can have your order to you in as little as 3 days. 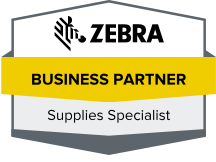 We even have experience handling even large orders serving major companies such as IBM, Merck and Johnson & Johnson, so you can trust us to get you the supplies to print as many barcode labels as you need. To find out more about how Tri-State Business Systems can help you print the barcode labels you need in Edison, New York City, Piscataway, Jersey City and nationwide, contact us today.